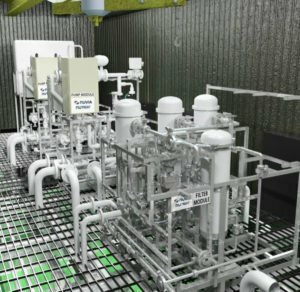 Dan Morphew, SHE Manager, and David Day, Head of SHE, at Nuvia UK outline a project they conducted recently in order to simplify production of CPPs, and to make them risk-based and more user-friendly. Producing construction phase plans can be a complex process; at Nuvia we have simplified the process. 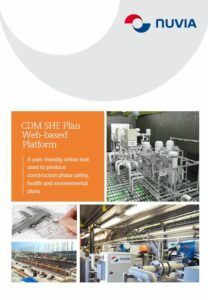 Nuvia’s CDM Safety, Health and Environmental Plan (CDM SHE Plan) web-based platform is a user-friendly online tool for producing construction phase plans (CPPs). The Platform is divided into three easy to complete sections: section 1 covers the project details, duty-holders etc. ; section 2 deals with managerial controls, e.g. site induction; and section 3 allows the user to identify safety, health and environmental controls. Development of the platform has helped address the following issues. Writing CPPs can be complex, so we made the process simpler. Each of the three sections is pre-populated with SHE control measures that are made project specific. All parts of the Platform must be completed before being issued, which ensures all appropriate risks controls are included. When the all elements of the Platform are complete and all reviewers’ comments have been accepted, the user just simply clicks a button to produce a PDF copy of the CDM SHE Plan. We worked in partnership with our Project Managers, Site Managers and Project Engineers to design a system that is user-friendly and systematically intuitive. Previously, Project Managers, Site Managers and Project Engineers produced CPPs in isolation without drawing upon knowledge of SMEs, for example Electrical Engineers. When a user completes the SHE risk controls element of the platform, SMEs are automatically informed by email that the section relevant to their role has been completed. Consequently, SMEs are given access to the platform and are free to advise and comment on the relevant control measures, which ensures the user can draw upon the competent guidance and expertise of SMEs. Traditionally, the construction industry has been primarily focused on injury prevention, often neglecting the management of occupational health, wellbeing and environmental risks. When using the platform, users must think about construction-related SHE risks, which is helping to shift our risk perception away from injury prevention, instilling health, wellbeing and sustainability into everything we do. Central to the Platform is the management of risk; if a safety, health or environmental risk is identified, then it needs to be controlled. This risk-based approach ensures proportionality when managing SHE risks. The contents of CDM SHE Plan output from the platform go above and beyond the requirements of CDM 2015, which ensures we are exceeding the spirit of the legislation. The development project of the Platform created a great sense of teamwork. Working with the project management teams supported continuous improvement and provided fantastic feedback and ideas on how to make the platform work. Bringing in the project management teams led to the development of a platform being far more practical and risk-based thus giving people the tools they need to manage construction SHE risks. Simplicity and user-friendliness are central to the platform, which means people are more likely to use it. Although some may say that CPPs should only be written by SHE professionals, we took the opposite stance. Project management teams can use the platform to produce a CDM SHE Plan by using their wealth of experience and knowledge. From start to finish, the development, testing, monitoring and implementation of the platform has been a collaborative process. Initially, the plan was trialled by SHE Managers and Project Managers. This proved a very useful exercise, as it allowed us to rectify any functional issues. After this trial, we asked teams of Project Managers, Site Managers and Project Engineers to develop plans for their construction projects. Various changes with flow, document control and communication were included after consultation with this group. This feedback has ensured continuous improvement of the project throughout its development. 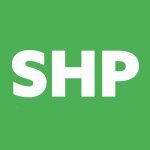 Simplifying construction phase plans Dan Morphew, SHE Manager, and David Day, Head of SHE, at Nuvia UK outline a project they conducted recently in order to simplify production of CPPs, and to make them risk-based and more user-friendly. The development of the web based platform seems like an excellent idea. I have been thinking of developing this for our business as but for the Preconstruction stage. Would you be so kind as to guide/discuss with me with developing such web based platforms. Is there a possibility of viewing or accessing the web based tool? Happy to meet up as I work in the Wigan/Warrington area and have involvement in projects that Nuvia are involved in. Any chance of being able to see the tool / platform. An excellent idea and simplification in any arena is fantastic, particularly in regards the CDM aspect of Health & Safety.